Want information about hidden movable and immovable assets of any individual or company for debt recovery or to win fraud cases? Or, looking to verify financial history or financial status of either a person or entity for matrimonial or divorce purposes? Well, financial background check is never easy and it involves sensitive handling and secrecy on the part of investigator. That's why you must trust only an expert company with proven credentials to do the verification and extract accurate information for you. Sleuths India's financial background and asset check service is trustworthy as the agency is award-winning and has a vast network of manpower and resource. Our financial background verification will help in cases where clients want to locate hidden assets for legal cases, or for fraud investigations or for matter of probate. We have the largest team of investigators in the industry and have a successful track record in how financial background and asset check is conducted. We are regularly hired by individuals, companies or groups to do financial background investigation for recovering debt from defaulters, presenting proof in legal cases, tracing non-performing assets, or using the information for matrimonial purposes. Our team has a great track record with financial background and asset check as it uses the latest investigation technologies and leverages a huge network for cracking cases. We solve asset verification cases by maintaining the absolute secrecy desired by clients. Our team can do verification of tangible ∫angible properties, provide information about financial accounts, retrieve details about business interests & associations, get details on personal property etc. We can retrieve every financial details and monetary transaction with financial background verification and ensure good results to clients. For cases of money recovery, we do asset check, land check, machinery check, properties and other liquid assets. We provide clients enough details that they can present them as proof in the court. The information we extract with asset check for companies will be accurate to help in legal matters. Further, employers also hire our services to conduct financial check on those employees who have created wealth beyond their income. In such cases, we focus on getting information like liquid asset details, investments in properties, vehicles jewelries, shares etc. More so, Sleuths India also has expertise in conducting financial checks of parties for matrimonial cases. During financial background check for marriage, our detectives focus on knowing the exact financial worth of the party in question. We also verify about financial claims which is mostly done in marriage cases to create impression over others. Our pre matrimonial financial background check is always in great demand as clients hire our services to know the true worth of the parties for alliance purposes. We have done financial verifications for hundreds of cases, provided right information to clients and helped families take a right call in regard to matrimony. Similarly, we do asset search for settlement of divorce cases also. Clients hire to run a financial and asset check on their partner for alimony claims. In asset check for divorce cases, our focus is on getting details tangible and intangible assets. 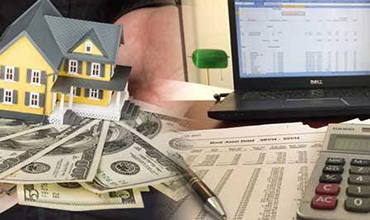 We do check liquid investments, property investment, brokerage and other sources of income etc. Sleuths India has the resources, manpower, skills and network to conduct financial verification on any scale. We are trusted for reliable verification and good results, which makes us perhaps the most trusted detective agency for financial background check.